These large 118ml Golden High Flow Acrylic Paint bottles offer great value for money for those who use this range of paint in large volumes. Like the rest of the range, they are made using high quality artists pigments which result in excellent colour that is compatible with many techniques. 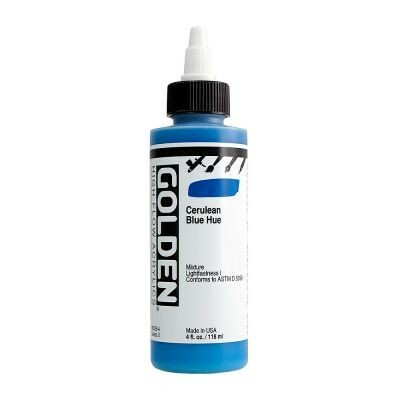 Use them for brushwork, in paint markers, dip pens and airbrushes for such techniques as staining, leveling, calligraphy, mixed media and more!